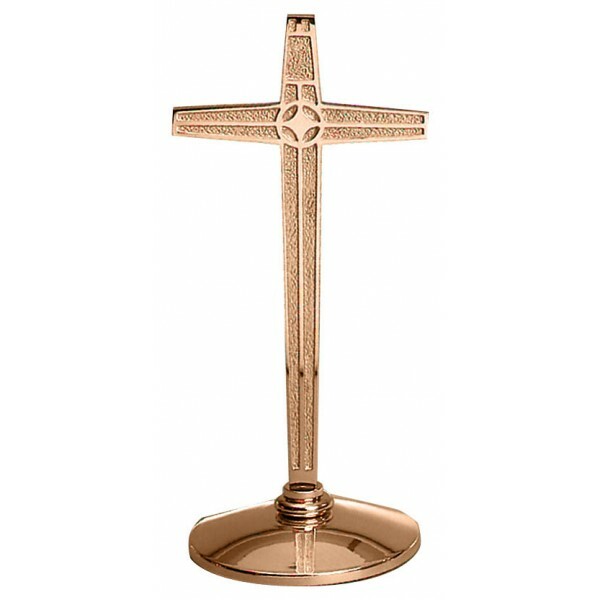 Excelsis 216 Series Altar Cross, 14" Tall with a 5-3/4" Base. Metals available are bronze or brass. Finishes available are high polish or satin. Image and price reflects the high polish, bronze model.